Welcome to the Federal Judicial Assistants Association website! The Federal Judicial Assistants Association ("FJAA") was formed in 2002, as a result of a merger between the Federal Judges Secretaries Association (which was formed in 1972) and the Federal Magistrate Judges Secretaries Association (which was formed in 1995). In 2009, the Federal Judges Secretaries Association officially changed its name to the Federal Judicial Assistants Association. The Federal Judicial Assistants Association has held annual conferences since 1973, in Washington, D.C., Denver, Las Vegas, Seattle, St. Louis, Memphis, and San Francisco, as well as many other wonderful locations. The Federal Magistrate Judges Secretaries Association ("FMJSA") held its first meeting in 1995 in San Francisco as a joint conference with The Federal Judges Secretaries Association. Subsequent joint meetings in Philadelphia (1998), Reno (1999) and Boston (2000) led to the formation of an Ad Hoc Merger Committee for the two organizations. In 2001 the new by-laws were written and the merger of both organizations was proposed to the membership and approved by formal vote. The two organizations became one effective October 12, 2002. •To foster among its members a feeling of camaraderie and mutual confidence. Individual membership is available to all judicial assistants holding current appointments by Justices of the United States Supreme Court, Article III Judges or United States Magistrate Judges. 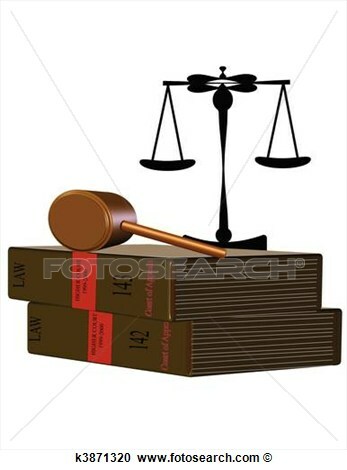 In the absence of a person in chambers hired under that title, any individual who performs the essential job duties of a judicial assistant, such as paralegal, courtroom deputy or law clerk, shall be encompassed by the term "judicial assistant' and be available for membership. Sustaining membership is available after retirement or upon resignation from employment, in good standing, as a judicial assistant. Associate membership carries all privileges of membership except those of voting or holding office and is generally available to judicial assistants to U.S. Bankruptcy Judges, federal Administrative Law Judges, Judges of the U.S. Court of Federal Claims, U.S. Court of Appeals for Veterans Claims, U.S. Court of Appeals for the Armed Forces and U.S. Tax Court. FJAA's By-Laws provide for the annual election of a President, President-Elect, Vice-President, Secretary, and Treasurer. Additionally, a representative from each circuit is elected annually. The Association has the following standing committees: Audit, Budget & Finance, By-Laws, Legislative, Long-Range Planning, Membership, Nominations & Elections, Ways & Means, Public Relations/Newsletter, Professional Development & Continuing Education, History & Archives, and Annual Conference. FJAA sponsors an annual conference held in various locations throughout the United States. These conferences are a mixture of business, learning, fun and fellowship. 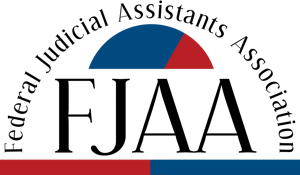 FJAA was established as an association dedicated to a very special group--federal judges' assistants. Your input is vital to its success in accomplishing goals with your interests at heart. Please contact your Circuit Representative or one of our officers for a membership application or look under the "Membership App" tab above to view and print. Join now and become a part of this unique group. Your membership will definitely make a difference! Copyright © 2019, FJAA. Theme by Devsaran.